As a photographer there is nothing more special than having return clients! 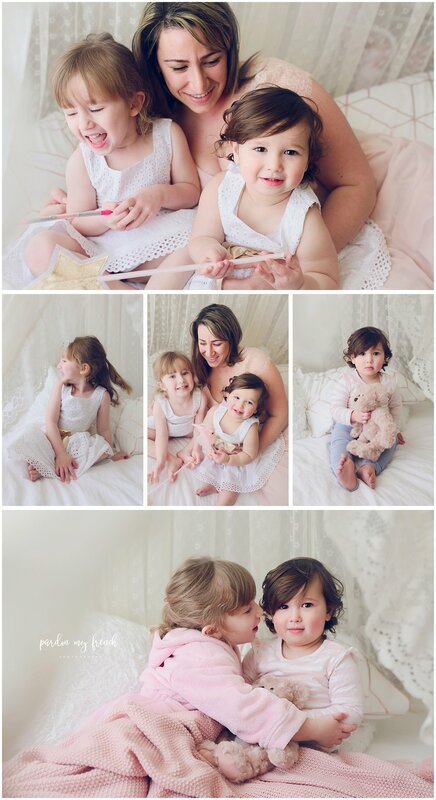 My first session for this beautiful family was for Sloane's newborn session 18 months ago. Laura purchased this Mummy + Me session as a birthday present to herself. I can't believe how grown up these little ladies have become with their own personalities; Sloane's dark hair and calm and quiet nature is the complete contrast to Liela's blonde hair and non stop talking... mum calls them her chalk and cheese and I can totally understand why! We even had time to sneak in a few blossom shots down the road.